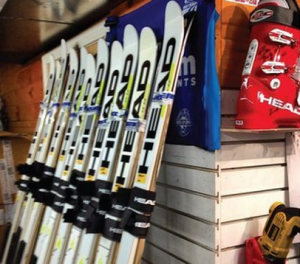 Has the sport of ski racing been ruined by the FIS-mandated radius changes? Nope. For all the hand-wringing that’s taken place during the last several months, the transition to a longer radius, longer length ski has actually been OK for elite athletes, coaches and ski manufacturers — or at least that’s what they’re saying out loud. What it means for young ski racers, however, may be different. FIS is rolling out its second phase of new ski regulations this season, applying similar rules that took effect on the World Cup and Europa Cup levels last year to all participants this winter. (Below the NorAm level, racers get a little bit of a break on the length, but not on the radius.) The most significant changes are in GS, where men face an increase from 30 to 35 meters; for women, it’s a somewhat less dramatic 27 to 30. For those making the switch, USSA has not made any specific recommendations as to when and how athletes should transition. Those decisions, most agree, need to be made on a case-by-case basis in consultation with the coaches working directly with those athletes. Read the rest of this story, including coaches’ and manufacturers’ opinions on what the dimension changes mean for U18s, in Issue 1 of our digital magazine here. The former super combined world champion announced his retirement on Sunday, four years after a horrific crash in Kitzbuehel. The Eagle's flight is over. American nordic icon Mike Gallagher has died on the very day of his 72nd birthday, Oct. 3.